I have been a long time fan of vinyl wall art starting as far back as eight or so years ago. We lived in an apartment then and were not allowed to decorate the walls at all and I needed some way to give our living room walls a pop of color. I found Vinyl Wall Art and fell in love. Now that we are a home owner again, we still have a lot of wall art around our house, and just added two more pieces. We received the Turtle Bathroom Vinyl for...well, my bathroom! I love this! 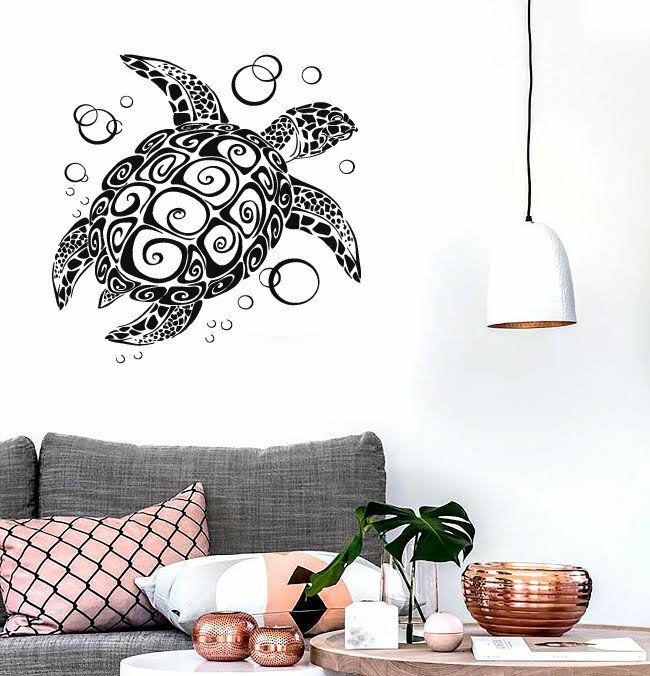 It is the perfect addition to our beach themed bathroom! It is beautifully intricate and adds a pop of color to our plain brown bathroom walls. Size Comparison to my VERY tall 3 year old. 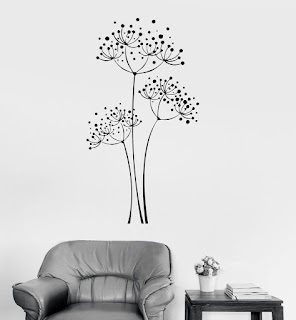 We also had Wallstickers4you send us the XL Dandelion Wall Sticker for our "picture" wall. 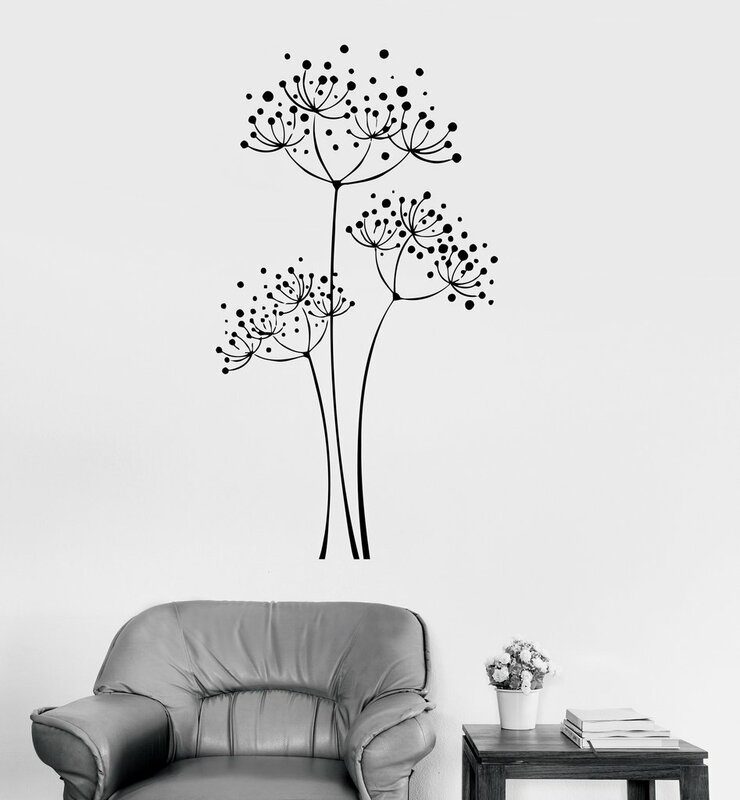 We ALWAYS take pictures in front of this wall for some reason and it is incredible plain and boring, and this dandelion wall sticker adds so much to is, and now it is no longer a boring wall...and it is a centerpiece of our house. I have used several brands of vinyl decals and I can tell you Wallstickers4you are one of the better ones. The installation is pretty easy for such big stickers (the bigger, the harder to install) and the ordering process is easy. Overall I am very impressed with them and I know you will be too! Each Sticker is available is so many colors: Black, White, Flame Red, Dark Red, Orange, Pink, Dark Blue, Light Blue, Dark Green, Lime Green, Purple, Dark Brown, Burgundy, Silver Metallic, Golden Metallic, Yellow, Gray and Matte Black. Win It: One lucky winner will win either "2 Medium Size Items" or "One Large and One Small item", or "One Extra Large Item"
Retail value: Dependent on Which You Choose. Vinyl Wall Decal Kraken Octopus Ship Nautical Ocean Teen Room Stickers and Wall Vinyl Sticker Moon and Stars Fairy Tales Magic Kid's Room Decor ate my favs! These look so gorgeous and very well made! I want the Wall Decal Eiffel Tower Paris France Travel Vinyl Sticker. I loved that. I have the perfect will in my bedroom where it will go perfectly. I'm not sure which one I would choose...I love all the animals...so would need to go through them all again. I just spent an hour perusing the amazing decals, beautiful! :-) Thank you. I love the Sun Beach Style Ocean Diver Sea. My daughter would love it in her room. Wow! So many to choose from so I hope you don't hold me to this one, but I really would like it so it doesn't really matter! I LOVE the Wall Sticker Chameleon Lizard Animal Tree Jungle Cool Decor For Bedroom (z2513). I love the Paris Eiffel Tower France Romantic Love Vinyl Decal (z3111) the most. I want it for my daughters room. She just turned 13 and she loves Paris and Travel themes so she asked us to paint over her fluffy clouds (8 yr old designs) and make her room over for a teen. I would like the Eiffel Tower Paris France travel vinyl sticker. My granddaughter loves everything about France. I like the Decor Music Heart Headphones Cool Decor Rock Pop Song For Bedroom (z2726). What fun and inventive wall decals! I am redoing my son's room in Mickey Mouse and unfortumately they don't have that. But the Moon Stars Baby Kids Mural is super cute! 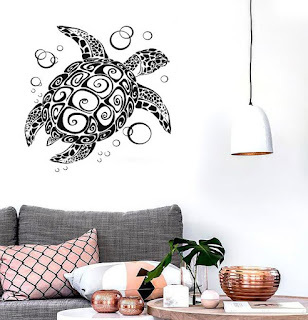 I like a lot of them, but I have a specific area of my home in mind and I have my eye on the Octopus Ocean Marine Sea Ornament Mural Vinyl Decal. I like the funny smiling panda. I like the Moon Stars Kids Baby Nursery one. The two owls "owl moon head" and "tribal owl bird" are so lovely! I actually have a tattoo similar to owl moon head so it'd be amazing to be able to also have it on my wall. i like the Yoga Buddha Om Zen Lotus Meditation Pop Art Cool Decor For Living Room (z2627). it would look great in our living room. i love zen. I would like to have the Joystick Wall Decal Gamer Video Game Play Room Kids Vinyl Stickers Art. My son loves playing games and this would be nice in his wall in his room. I like the Wall Decal Hair Salon Barbershop Hair Cuttery. I really like the Vinyl Decal Wall Dreamcatcher Web Plumage Charm Bedroom Art Sticker.